At Source, we’ve got a soft spot for passionate animal lovers. Especially those who make it their full-time job. That’s why, in Regina, we wanted to help support the Humane Society. The Regina Humane Society’s main focus is improving the well-being of animals in the community. 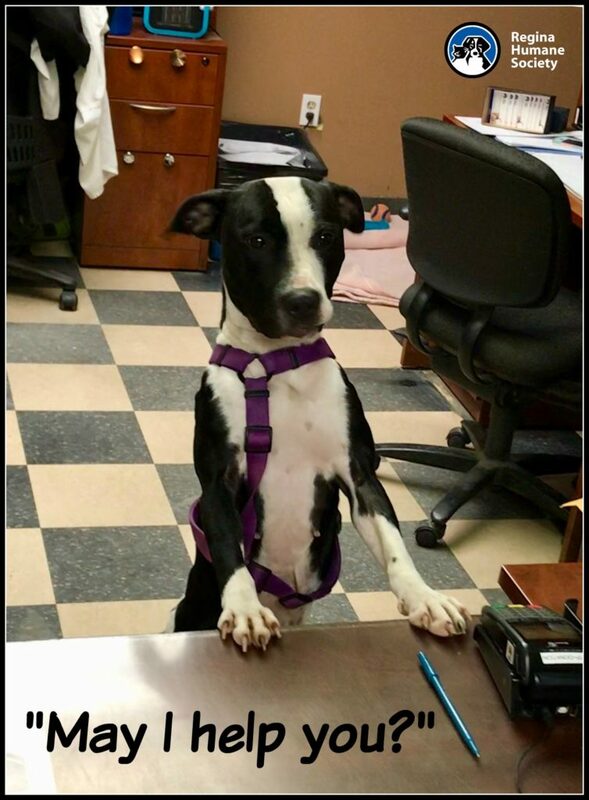 However, since they are so dedicated to the animals, the state of its office is usually low on the priority list. 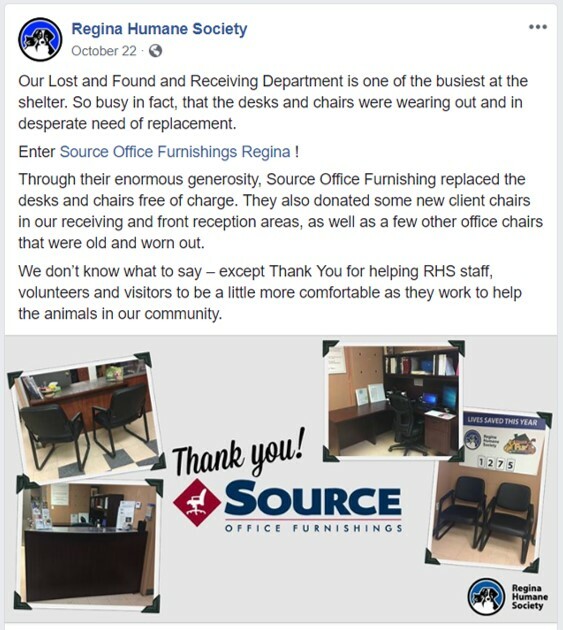 Our team at Source Regina discovered the worn-out condition of the office furniture at the Regina Humane Society. Therefore, they were thrilled when they discovered how they could help. RHS posted a lovely Facebook message that tells the story: One of the best parts of our job is being able to give back to our community. So, if that means giving animal champions a soft place to sit and a great place to do their work, then we all win! P.S. If there’s an animal-shaped space in your heart that needs filling this holiday season, stop by the RHS and see who’s waiting for you. Source Office Furnishings — Making Your Office Work Better!